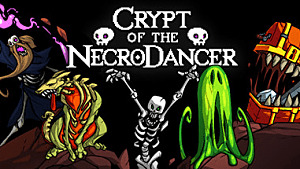 Tempo is one of the new playable characters in the Crypt of the Necrodancer DLC, "Crypt of the Necrodancer Amplified," which came out in early 2017. Tempo starts with a shovel, a blood dagger, a compass, and a torch. 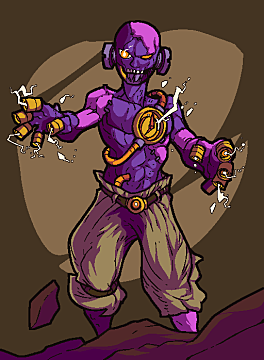 He jumps one space per beat like normal and has a permanent telepathy, so he can see all the enemies in the level right at the start. Although he can one-hit kill every enemy (armor still counts), what makes playing with him challenging is that Tempo can only make 16 moves before he dies to "Tempo's curse." Unlike the other characters where you have an unlimited number of moves, Tempo starts each level with 16 moves. Besides the normal steps, opening a door, digging a dirt block, sliding across an ice tile, and missing a beat each count as one move. When Tempo runs out of moves, he dies. Fortunately, there are a few ways to replenish moves. Each action listed below brings Tempo back to 16 moves. 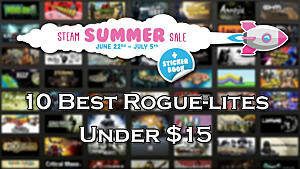 Purchasing or picking up an item. This only counts once, so no item swapping! Here are a few tips to playing as Tempo so you can get through each zone with ease! Because of the 16-move limit, you want to pay attention to the compass's arrow and head in the direction of the stairs. 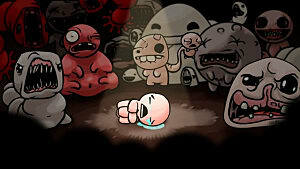 Getting stuck in a dead end means you can't find any enemies or items in time to replenish your moves before you die. There also isn't much point in backtracking or going to an adjacent room just to kill the enemies because you risk running out of moves before getting back to the stairs. Once you can take the stairs, then take them. It refreshes your moves nonetheless. It can be tempting to visit the shop if you pass it because Tempo accumulates gold much more quickly. 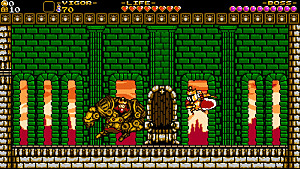 Although he receives the same amount of gold from each enemy (depending on the multiplier), the levels are swamped with enemies to help the player get through each level. However, you will rarely have enough steps to go in the shop, make a purchase, and come back out with enough steps to get to an enemy to kill. 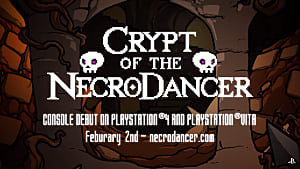 Although the purchase does completely refill your number of available moves, it's unlikely you'll be able to make it out and to an enemy before the curse strikes. 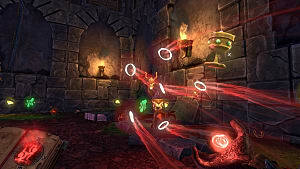 The game may vastly increase the number of enemies in each level to help you replenish your moves, but the enemies from all of the zones are included. So, for Zone 1, there are green slimes among golems, shove monsters, devils, blademasters and more. 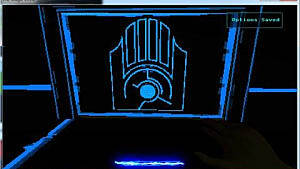 The mini bosses are zone specific, so no banshees in Zone 1, although each level now has two mini bosses that need to be killed before the stairs open up. If you're not familiar with the enemies found in each zone, or need to refresh your memory, then play through each of the zones first before making attempts with Tempo. Tempo starts with the blood dagger and can use any weapon he picks up. However, because you can't backtrack or go to the shop with Tempo, it's very difficult to pick up armor and healing items as you play. You have to hope the useful items are in the chests that are conveniently located along your path. If you come across another blood weapon, then pick it up! The new blood weapon will likely be one step above the blood dagger and is just about the only healing opportunity Tempo gets during the game. Most other weapons are useless because Tempo already one-shots every enemy. If your moves are counting down and you feel stuck, then throw the blood dagger (or blood spear if you've picked it up) as a last resort. If your weapon kills an enemy, then your moves are refilled. 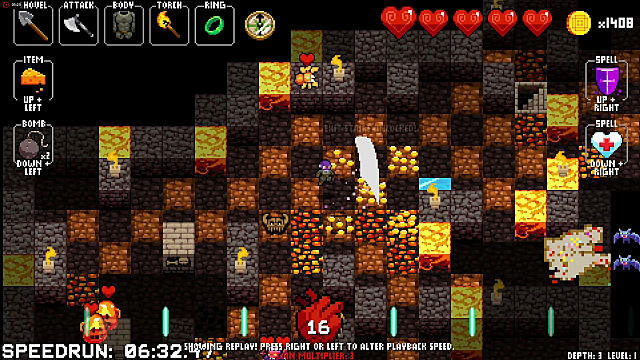 You're without a weapon until you can grab it, but hopefully the trick buys you enough time to grab the weapon and refill your moves again so you can continue your run. 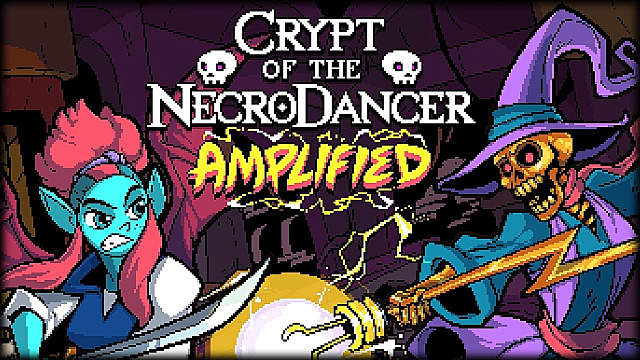 If you haven't tried "Crypt of the Necrodancer Amplified" yet, then give the DLC and Tempo a try, especially if you're looking for a challenge. 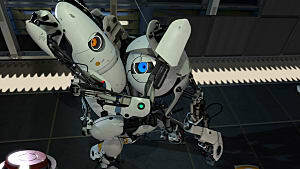 Some fans have remarked that playing as Tempo is not only difficult but also way more fun than playing through as Aria. Perhaps these tips will make the learning curve a bit easier to handle.